Karla is a certified Healer, Teacher, Guide, and Ritual Master with the Modern Mystery School – a school of life that offers deep Kabbalistic teachings in the direct initiatory lineage of King Salomon. Karla is also an initiated Celtic Shaman, Kabbalist and is trained as a research scientist and anthropologist; she bridges the fields of science and metaphysics. Karla’s focus in working with people is to help empower them have more of the experience of life that they seek – more joy, freedom, abundance, health and love. She uses a combination of metaphysical instruction as well as the ancient, time-tested healing and empowerment techniques in the lineage of King Salomon. This universal tradition is open to people from all backgrounds and is not bounded by geography. The work helps each person to deeply know their true self and live from a place of power. The tradition of King Salomon helps individuals to correct any distortions in their blueprint in order to truly express and flow all of their divine energy and power. When we are each living our true purpose and holding the energy of peace, we can create a world of peace and balance. Signature healings from the tradition include: Life Activation, Full Spirit Activation, Isis Healing, Hermetic Soul Retrieval, The King Salomon Healing Modality, Etheric Reconstruction, Egyptian Aura Balancing, Full Aura Clearing, and Ensofic Ray Healing. Each of these offers a deep and complete way to shift towards more wholeness and health. Karla offers a healing special each month to Sojourn community members! As both a natural-born shaman and JRNI certified life coach, Charlene's work is the lightning path. Her work gets powerful results by weaving the esoteric knowledge of shamanic healing, energy medicine (as both reiki master and Energy Mastery practitioner), and a variety of intuitive gifts, with the sciences of positive psychology, applied meaning theory, and neurobiology, delivered in a package of person-centered coaching. In her experience, it is only when we work with all aspects of ourselves – mental, emotional, physical, and spiritual – that true transformation and healing are possible. Charlene's role is to guide others on the hero's journey. She finds their wounds both known and unknown, retrieves their unique healing protocols, and helps them dispel their doubts and fears, to ultimately find strength and courage through the unknown. The only way out is through and on the other side her clients emerge more whole and balanced, with clarity on the destiny path and tools to create what they want out of what life gives them. Her offerings are bespoke for each client and her areas of competency include: shamanic healing; intuitive tarot; energy healing; space clearing and blessing; psychopomp rites of passage; life coaching; and business coaching. It is her calling to share these gifts, to help others heal and find freedom through knowledge of self. Shawna is a bodywork therapist and intuitive healer with 20 years experience. Utilizing her knowledge of the body and inherent intuition she customizes each session to meet the clients exact needs. Her offerings include massage therapy, astrology, intuitive coaching and clarity talks as well. All of these items can other healing tools such as; cognitive exercises, nodal astrology, crystals, oracle cards, tuning forks, Reiki, and healing touch. Shawna is committed to inspiring, guiding and uplifting people through enlightenment, support and encouragement. During the life journey she believes raising consciousness is one of the most important things you can do! Kristen Tobiason uses an inspired healing method which blends Western & Eastern energy therapy techniques with Shamanic Journeying & counsel. Kristen’s approach is both nurturing and deep. Clients receive customized full body chakra balancing, as well as aura repair, using crystals, aromatherapy, sound, and oracle as needed. Sessions are trauma-informed, targeted to release core wounds, toxic imprints, cultural barriers, and energetic cords. Kristen is highly clairsentient, gathering information recorded and stored in our bio-field system, in past lives or present, to assist bringing light into our shadows.As a trauma survivor herself, she understands what a dark, night of the soul really feels like, and how at the core of each and everyone, is a desire to be loved and accepted for our true authentic selves. Christina uses yoga, massage, and meditation to relieve chronic pain. She is intuitively familiar with and expertly trained in anatomy and physiology and works with you to identify issues and creates solutions specifically for you and your body. Her work is detail oriented and whole-istic. As a Holistic Health Practitioner she can advise on nutrition and lifestyle choices that may assist with healing. As someone who worked to resolve her own chronic pain she understands the process and is right there with you through the journey. Everyone who works with her begins to feel relief after the first session. You, too, can be pain free. Sara is a Healing Touch Practitioner Apprentice, trained by Healing Beyond Borders. Her heart-centered practice focuses on clearing energetic blockages, balancing chakras, meditation, pain reduction, insomnia relief, hormone balancing and self-awareness. Sara incorporates tarot cards, angel cards, essential oils, numerology, crystals and sacred geometry in her healing touch sessions. Her goal is to help her clients recognize the magic they have within. Jessica is a Certified Crystal Healer and Certified ThetaHealer (energy work), utilizing crystals and energy for healing the mind, body & soul. Her healing journey began when her marriage fell apart and she felt all alone, which triggered PTSD from losing both her parents when she was a teenager. Everything bubbled to the surface for healing, including other childhood traumas, and she spent a few years deep in the healing process. Her own journey and experiences have shaped how she now helps others. She is extremely intuitive, which allows her to guide people towards healing and connecting with themselves on deeper levels. She often works with Empaths who are looking for guidance and healing, as well as learning how to manage their energy and boundaries. Jessica loves to help others learn about crystal healing, and how to work with energetic tools, so that they can effectively transmute influences that might be affecting their own physical and emotional wellbeing. She has developed an in-depth Crystal Healer Certification training that can be taken in either a group setting, or through private training. 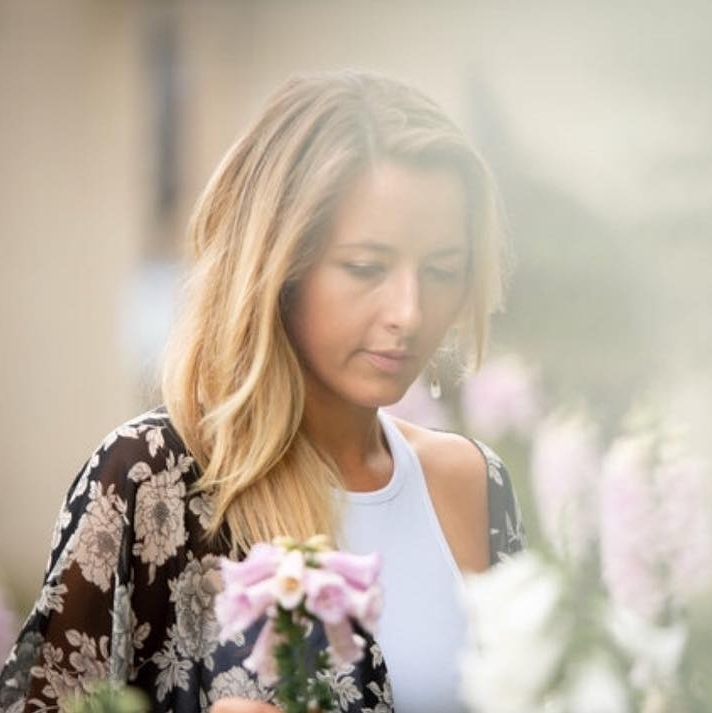 Whitney is an intuitive soul healer, mentor and the founder of Sojourn Healing Collective; a welcoming place for people to come as they are, align with their true purpose and feel supported as they grow to their greatest potential. Her personal healing journey brought her face-to-face with traumatic events leaving her feeling alone as she moved through the pain of grief and loss. Through it all, she was able to uncover her divine purpose as a spiritual teacher, mentor and creator of Sojourn - a welcoming space where no one would ever feel unsupported again. Whitney manages collective in addition to offering private healing sessions, Reiki and customized coaching programs for spiritual business owners or those seeking further alignment to their soul’s purpose. A survivor of chronic childhood trauma and recovered substance abuser, Nathan, identifies deeply with those struggling to get past circumstances blocking forward movement and desperate to make sense of their life’s true purpose. Nathan greatly understands the effects stored stress, depression, anxiety, unrealized goals, and unresolved circumstances from the past have on the mind and body. Nathan has built his intuitive healing practice from the platform of his own personal healing journey bringing his clients a treasure chest of the same proven healing modalities that have allowed him to gain clarity, ongoing peace, and freedom from the emotional and physical pain he carried with him for years before he began his path to healing. His post-secondary education in Psychology, Asian Medical Massage Therapy, Reiki Training, and Spiritual Practices have all shaped the way he guides and treats his clients to experience the freedom they seek to live their most authentic, prosperous, joy filled lives. Reiki, Intuitive Mentorship, Oracle Cards, Psychic Insights, Crystals, Sound Healing, and Massage are all key elements offered by Nathan to help you realign mind, body, and spirit to awaken the healer within. Nathan is here to remind you of these truths; you can be free! Nathan offers free consultations in person or via phone. Schedule your next session online: healbynathan.com healbynathan.com or 619-571-1038. Sojourn Members enjoy 10% discounted rates for all services.